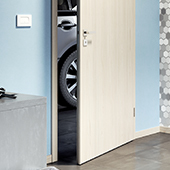 You would not burn out easily with SAPELI fire doors. They meet all legal standards and passed difficult tests of state laboratories and the independent test of ČOI. 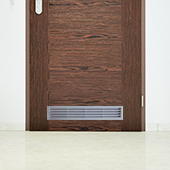 We think about your comfort and safety, therefore we pay attention to the quality of our fire doors. These special fire closures must ensure that the fire does not start spreading through them for a particular time. SAPELI boasts the best results of fire tests in the Czech Republic. Where the others declare door resistance of 15 or 30 minutes, we have achieved that already and we go even further. However, it is important not to underestimate the correct fire doorframes in which the doors are fitted. ...recently passed the test of the state laboratory and independent test of ČOI? ...resisted fire without damage for 33 minutes? ...can be newly fitted even with a fire stainless steel ventilation grid? ...will save money for you thanks to the programme Green for Savings? Are the fire doors also smoke-proof? 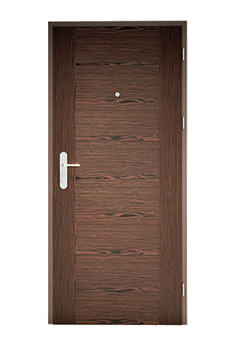 If you wish your SAPELI fire door to also be smoke-proof, you have to order it; such a combination is not automatic. 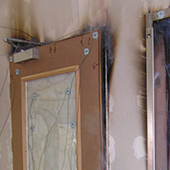 Why should I acquire a fire door that is smoke-proof? Most deaths in fires are not caused by burning but by suffocation. This is a very strong argument when considering the purchase of a smoke-proof fire door. How do I recognize the fire door? The fire door must have a service book and relevant marking on the plate.